I found this great little treasure when browsing at an antique store the other day: "House Plans for Everybody" by S.B. Reed, Architect, published in 1896. 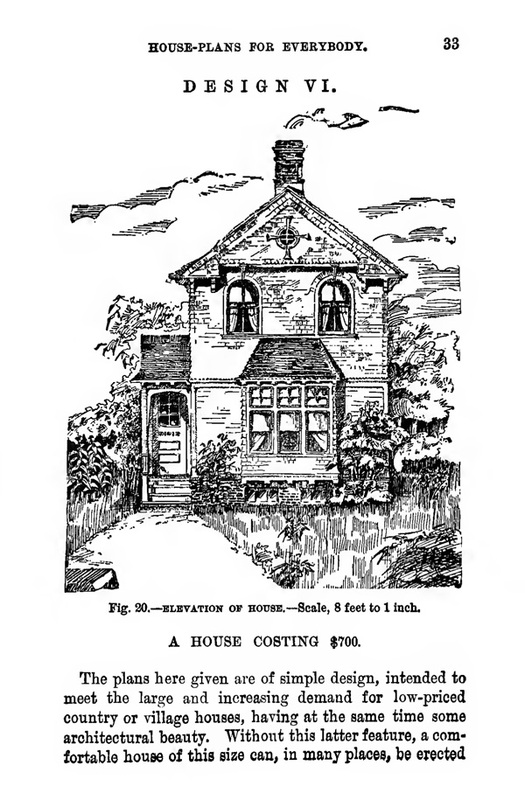 On the title page, it reads, "For Village and Country Residences, Costing from $250-$8,000 - Including Full Descriptions and Estimates in Detail of Materials, Labor, and Cost, with Many Practical Suggestions and 175 Illustrations." It turns out that this is a very early (maybe rare?) edition. 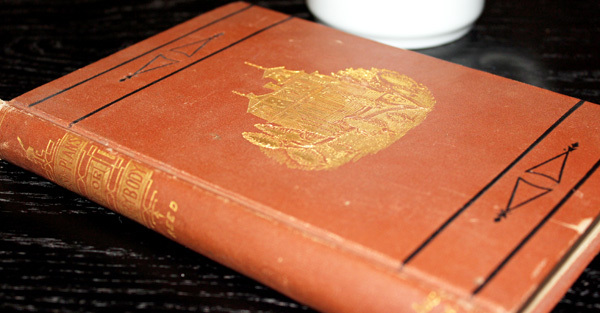 The cover is prettier than any other covers I've been able to find researching online, and this edition is even older than the one in the collections at the Cornell University library. If you love old homes, can you imagine having built this one for $700? At 16' x 29', the main floor has just two rooms: a living room and a parlor. Upstairs, were 2 small bedrooms ("chambers"), a large bedroom, and two small back-to-back closets. No running water. No kitchen. No bathroom. The next model up, "Design VII," has the added luxury of a kitchen, and would range from $750-$1,050. 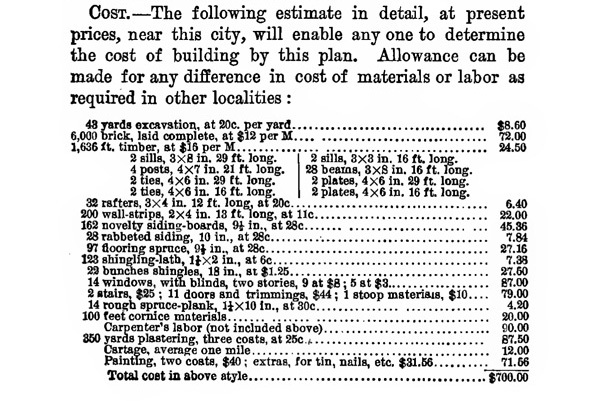 The $300 price difference would add an unfinished basement ("cellar") and two covered porches ("verandas"). Still no bathroom. I also love this vintage advertisement from the 1950's for modern homes designed by architect Cliff May (known as the father of the California Ranch house). You could move into your dream home for just 1 cent down! Long Beach area homes like this now sell in the $500,000 - $800,000 range. I love the last line: "It can be said in fact that a CLIFF MAY Home makes a community with a personality." I wonder if there are any original owners of Cliff May homes still living in them and whether they'd agree that the homes afforded them "more time for relaxation and recreation."